Home Tutorials What are the Advantages of Bitcoins? Regular cash has multiple advantages over credit cards, Treasury notes, certificates of deposit and the like. For starters, it is accepted everywhere, and it offers relative anonymity in transactions. The problem with cash is the risk of theft and it cannot be insured. When you transact as a buyer or seller using cash, there is a degree of anonymity in that you can pay for goods and services without having to produce ID (in most cases). Turning our attention to virtual currencies like Bitcoin, it’s an entirely different ballgame. Sure, there is relative anonymity (not absolute) and it is a generally accepted form of payment like cash. Unlike cash however, Bitcoin is not produced by any government anywhere in the world. There is no central bank involvement and there are no regulatory authorities that control how much of it is produced and distributed online. It is somewhat of an abstract concept to understand, but this cryptocurrency is designed by a complex algorithm that limits its production and distribution to just 21 million coins. It was developed back in 2009 by a Japanese programmer as an alternative to government currencies like the EUR, JPY, USD, CAD and other commodity-style currencies like gold coins or silver coins or platinum coins etcetera. In order to understand the inherent benefits of transacting via Bitcoin, it’s important to understand how payments are processed with this virtual currency. For starters, a global network of private computers is linked up to form the Bitcoin network. Every single Bitcoin transaction ever conducted is recorded on a register known as a blockchain. This is visible to anyone and everyone at all times. It is open source software that creates the Bitcoin network. There are 2 ways that Bitcoins are mined and one of them is by purchasing them through Bitcoin exchanges via PC or smartphone, and the other is by solving the mathematical conundrums on PC. In both instances, one of the biggest benefits with Bitcoin is anonymity. Anonymity is assured by a unique address that is associated with every Bitcoin transaction. There is no regulation requiring users to publish their identity with virtual currency transactions. Since every Bitcoin transaction is assigned a randomly generated address, there is no traceable aspect back to any individual. In this sense it acts in much the same way as cash. For many people however, the greatest benefit to using this virtual currency is the inability of banks, brokers or governments to intervene in transactions. This is largely due to the fact that Bitcoin is a peer-to-peer system of exchange. There is far more freedom, less cost and more anonymity in Bitcoin exchanges than any national currency transaction. Another major benefit of Bitcoin transactions is that there are no taxes incurred on any purchases that are made. This is true because tracking, identification or interception of Bitcoin transactions is impossible. This naturally lends itself to reduced transaction fees. Transfers in this form of cryptocurrency are immediate and this is especially beneficial to people on the go. Prolonged waiting times, approvals or regulatory limitations are absent with Bitcoin transactions. The ability to track transactions back to specific individuals does not exist with Bitcoin. The only people who know about how many Bitcoins exist in a wallet are the wallet owners. It doesn’t make a difference if the wallet owner’s address is made public; a new address would simply be generated in its place. It is much different in the conventional currency system where personal information is susceptible to infiltration by third parties. Another big benefit of using this cryptocurrency is the absence of chargebacks. As soon as a Bitcoin transaction has been conducted, it is irreversible. This happens because each Bitcoin transaction is associated with a specific owner. Once the owner has changed, the new owner will receive the private key. He/she will then be able to change ownership of the Bitcoin accordingly. This all but eliminates the risk associated with transferring Bitcoin from one client to another. Another important advantage of Bitcoins is that they cannot be stolen. The addresses of all Bitcoin transactions are kept under lock and key on an individual’s smartphone or computer. If you have access to somebody’s computer who owns Bitcoin, you would be able to transfer them to your account. The fact that this cryptocurrency requires users to access your hardware, makes it a lot more difficult for Bitcoins to be stolen. The above benefits do not completely rule out the risks of trading in Bitcoin. 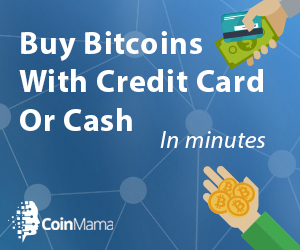 There are several things to be aware of when using Bitcoin including the untraceable aspect of it, the fact that there is no recovery mechanism for stolen Bitcoins, and it is not as easy to trade as using your credit card to make a purchase online. These aspects should be firmly understood. This cryptocurrency has only been around since 2009, and it is susceptible to fraudulent activities by scammers. As yet there have been no major infiltrations into the system, but given enough time it is likely that faults will be revealed and exploited. The relative novelty of Bitcoin also limits the number of vendors or users accepting this as a recognized form of payment. Many folks tend to look at Bitcoin as a form of investment, and there’s certainly plenty of merit in it. For example, they were trading at under a dollar at inception and now they are trading at hundreds of dollars a pop. The volatility in the price is typically felt on the growth side with coin prices rising at a rate of knots. Overall though, the benefits far outweigh the costs of using Bitcoin as an accepted form of payment.